Could future iPhones be equipped with dual camera sensors? A new patent suggests that. Yesterday’s announcement of the all-new HTC One M8 brought the world the first mobile device with dual camera modules on the rear. The secondary camera in the HTC One is used for receiving depth information, which can be used to selectively edit the foreground and background in an image after it was taken. Now, it seems like dual cameras could be the new trend, as Apple has applied for a patent (recently published by the U.S. Patent and Trademark Office) for such a technology, albeit one that is different from HTC’s. Apple’s dual-camera patent. Note that the illustration is of laptop computer, but could be used in a mobile device. 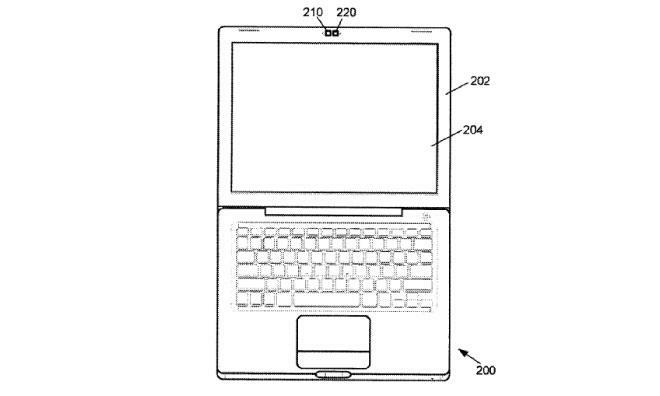 This way, per the patent description, mobile devices could be built much slimmer, as the individual camera modules can be made smaller as compared to regular camera units for mobile devices. The question is, how much slimmer are smartphones and other mobile devices going to get? And will we see such a dual-camera technology in the iPhone 6 or iPhone 7? Could Apple combine this technology with its other patent for Lytro-like refocusing? Only time will tell. In any case, it’s an interesting idea to separate brightness and color information capturing from each other. For those who’d like to dig deeper into the technicalities of this patent, the full patent description can be found here as a PDF file. Pyle aims to bring back the glory of the 80’s by putting 1000 watts on your shoulder.